The Ford, besides having a noteworthy climb rate, was also very maneuverable, featuring an incredible roll rate. One Navy test pilot who flew the Skyray said that Air Force chase-plane pilots were desperate to find a USAF machine that could out-turn it. As mentioned earlier though, the Ford did have weaknesses, significant ones. Along with its agility came a degree of instability, particularly in the critical transonic speed range, a steep glide ratio, being described as a "lead sled" and handling that some reported "bordered on the bizarre." 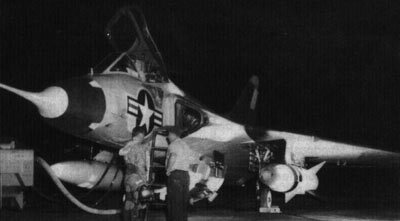 In the hands of a skilled pilot it displayed promise (realized in the canceled follow-on F5D Skylancer), but could be a handful for a relatively inexperienced pilot. 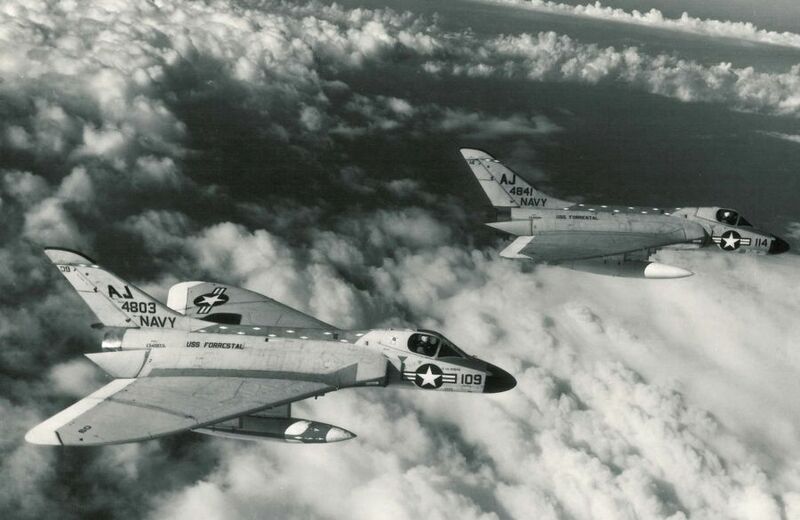 Modern digital fly-by-wire flight control systems would have tamed the Skyray, even exploited its instability to optimize maneuverability, but such things were almost unimaginable in its day. Takeoffs could be tricky -- the main gear didn't go up together, either, causing the aircraft to skid out again -- though once pilots got used to the Ford they didn't have a problem with it. However, it was regarded as something of an amusement to watch green pilots try to get it off the deck. In general, it seems that the Ford's eccentricities were not regarded by most pilots as anything all that threatening, and those who enjoyed flying the machine said its idiosyncrasies helped make it fun to fly. 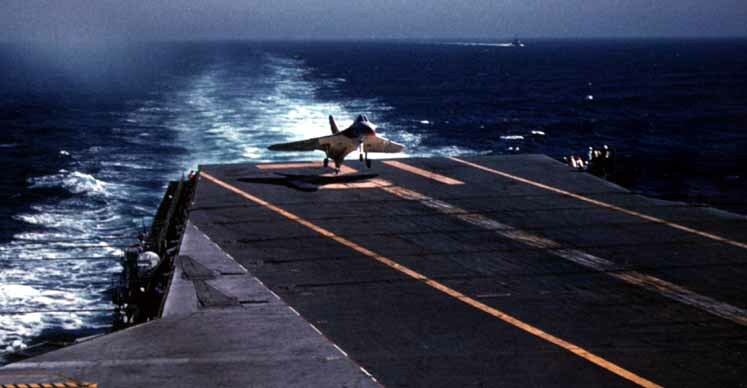 The F4D also had a number of difficulties common among jet fighters of its generation. The cockpit was an ergonomic nightmare;with pilots complaining that the stick blocked the view of the radar display. A Navy ground crewman lifted two small mirrors from his wife and fitted them into a cardboard frame to build a periscope so the pilot could actually see the radar screen over the top of the stick. This scheme worked so well that the Navy ordered construction of a formal periscope with a plastic housing, and installed them in Fords in service as standard gear. 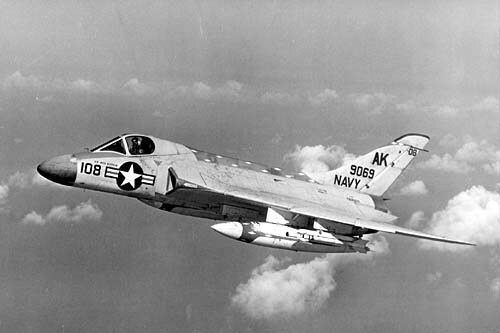 The F4D's range left something to be desired -- it was always flown with external tanks -- and the reliability of its subsystems, again a hallmark of aircraft of that era, was poor. 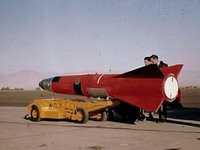 Pilots had no confidence in unguided rocket packs for interception. The folding-fin rockets jinked around like crazy until the fins deployed, and the usual comment was "it was a wonder anybody could hit anything with them." Attacks on target drones apparently bore this out. Key West for the Cuban Missile crisis. That and a deployment to Taiwan in 1958 were the nearest the Ford would get to combat action. 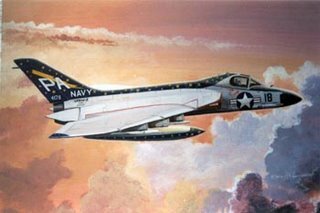 Eventually events conspired against the Ford – a shift towards multi-purpose aircraft as embodied by the new F4H Phantom and cancellation of a follow-on (F5D Skylancer) in favor of the F8U Crusader brought the Ford line to an end. 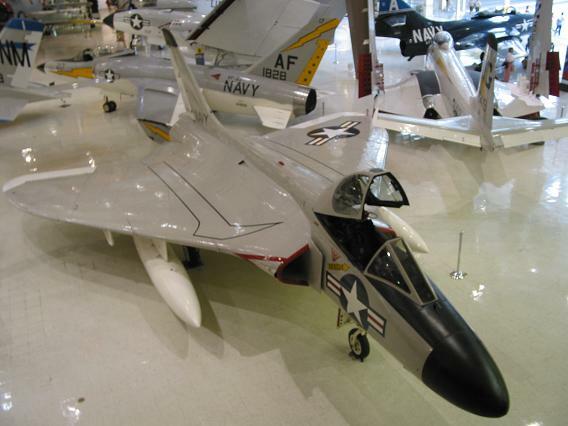 A total of 419 production F4D-1s were built, the last was delivered on December 22, 1958. At least 230 others were canceled. 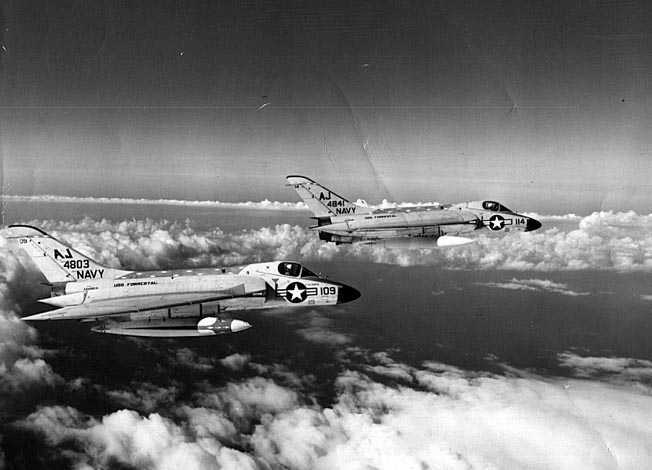 In September 1962, the F4D-1 was re-designated the F-6A under the new tri-service designation system, but was in service with only 4 frontline squadrons, all shore-based. 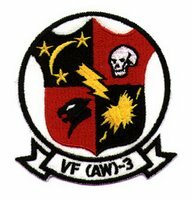 The last active duty squadron to fly the Ford was VMF(AW)-542 in November 1963. The last Ford left service in February 1964. 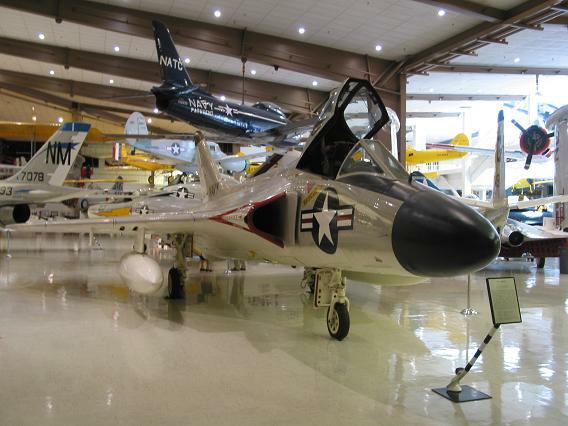 Because of its climb capabilities, the Ford participated in some extraordinary programs, some of which attempted to place a satellite into space from a rocket launched off the Skyray. Initially unsuccessful in the NOTSNIK/Project PILOT program, the follow-on, Project CALEB. The CALEB vehicle (NOTS-EV-2) was designed as an air-launched four-stage all-solid rocket vehicle capable of orbiting tiny satellites. The stages were a NOTS-500, an ABL X-248, a NOTS-100A and a small spherical NOTS motor. The orbital Caleb program was cancelled under pressure from the USAF which wanted to monopolize the satellite launching program, but the NOTS continued the program for suborbital missions. 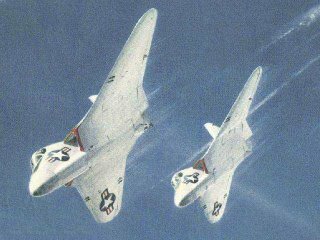 The first test launch, with one live stage only, occurred on 28 July 1960 from an F4D-1 Skyray aircraft and successfully placed an object in a sub-orbital trajectory. The Ford was also used as a drone control aircraft, sporting another particularly colorful scheme in the process. 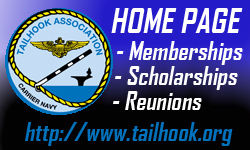 One of its last duty posts was at the Navy Test Pilots School, where it was used to give students familiarity with how an unstable aircraft flew. Despite its idiosyncrasies, the Ford appears to be remembered with some affection, tempered by an awareness of its peculiarities. Performance: Maximum speed 722 mph at sea level, 695 mph at 36,000 feet. Cruising speed 520 mph. Initial climb rate 18,300 feet per minute. Service ceiling 55,000 feet. Combat ceiling 51,000 feet. Landing speed 134 mph. Normal range 700 miles, maximum range 1200 miles. Weights: 16,024 pounds empty, 22,648 pounds combat, 25,000 pounds gross, 27,116 pounds maximum. Internal fuel capacity: 640 US gallons; w/2 x 150- or 300-US gallon drop tanks total maximum fuel capacity was 1240 US gallons. Examples may be found in many locations, but the best example is Pensacola, Fl. If you haven't been there yet -- you owe it to found in the National Museum of Naval Aviation, located in yourself to put this branch of the Smithsonian Institute's holdings on your travel itinerary. Next week: We go ashore for a look at an aircraft that operated in obscurity but provided invaluable intelligence, sometimes at great sacrifice – the Martin P4M Mercator.